If rising rates and this whipsawing market have you wondering where to put your cash now, don’t worry: you’re not the only one. The good news? I’ve got 5 perfect contrarian buys for you to snap up now. 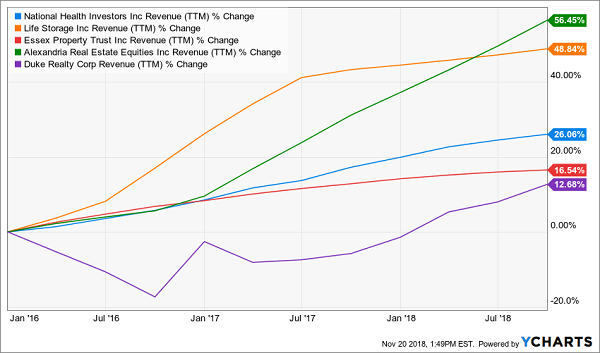 Each of these 5 stocks is set to pull off something that’s proven to line shareholders’ pockets when rates spike: all 5 “outrun” rates by giving us a high dividend yield now or fast payout growth—and sometimes both in one buy! More on these 5 smart rising-rate plays in a moment. First, we need to talk about another group of stocks that might look like a great contrarian opportunity now, but is anything but. Putting your money into them as rates rise is a recipe for losses and missed income. I’m talking about consumer-staples stocks—particularly big-name food makers like Kraft-Heinz (KHC) and General Mills (GIS). There’s one factor that just might put these tired blue chips on your menu now: their dividend yields. Take KHC: at 4.8%, its yield is far higher than the 3.1% you’d get from, say, a 10-year Treasury note. The problem? That high yield is entirely because KHC’s share price has crumbled—just as I predicted it would in September 2017! In other words, if you’d bought KHC in January, when it was yielding about what the 10-year is today, you’d be down 33% already. And food stocks like KHC still have lots of room to fall. For one, as I’ve written previously, a rising payout is the No. 1 driver of share prices. Too bad KHC and its cousin, General Mills (GIS), have hit the brakes on their payouts. That’s partly because food makers are snagged in a tightening vise: on the one hand, nimble local players are out-hustling them as shoppers buy more fresh food and less packaged fare. That’s knocking the wind out of sales. KHC’s revenue, for example, inched up just 1.6% in the third quarter, while GIS saw North American sales dip 2% and is calling for flat organic sales (or excluding revenue from acquisitions) in fiscal 2019. Meantime, ingredient costs are soaring. KHC’s cost of goods sold jumped nearly 5% in the latest quarter, while GIS booked a 12% rise. No wonder profits slid at both companies! And as long as that continues, you can bet both dividends will stay in the deep freeze—at best. Of course, a stagnant payout is the last thing we need as rates rise, because it’s only a matter of time before investors get restless and look elsewhere for incomes. Obviously, this is no way to grow your nest egg or secure your income stream as rates rise! Luckily, as I mentioned off the top, there’s another set of investments that lets us do both of those things—and they’re bargains right now, too. I’m talking about real estate investment trusts (REITs). You’d be right … partly, anyway. But REITs are income investments, so we need to look at total returns (including dividends), something few people bother to do. 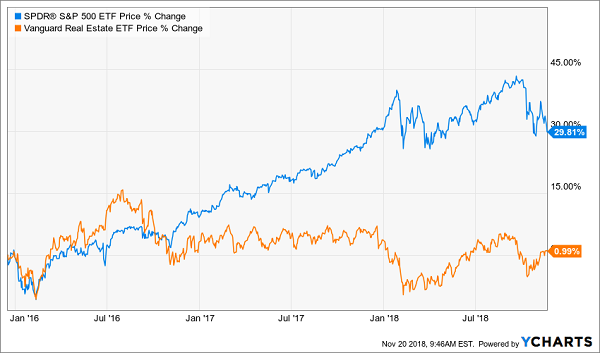 Even so, it’s still true that REITs are lagging overall. That’s something first-level investors would take to mean the whole sector is “dead money,” and it’s best to look elsewhere. But that’s the exact wrong move to make—it’s time to buy instead. The key to contrarian gains (and income) in REITs is to zero in on trusts that, as I mentioned off the top, boast dividends that outrun the 10-year, either through high current yields or by growing their dividends so fast they’re leaving interest rates in the dust! To pull that off, we’ll need REITs that are cashing in as the strong economy drives up demand for rental space. That way, their funds from operations (FFO, the REIT equivalent of EPS) will easily lap higher borrowing costs. This is where those 5 names I mentioned earlier come in. 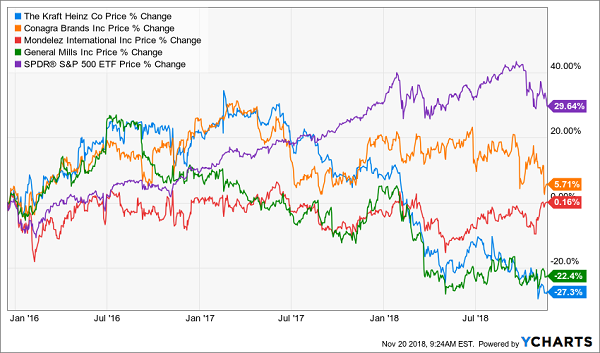 My 5 REIT picks are healthcare-property owner National Health Investors (NHI), self-storage operator Life Storage (LSI), apartment landlord Essex Property Trust (ESS), office REIT Alexandria Real Estate Equities (ARE) and warehouse owner Duke Realty (DRE). You can see below that all five boast either a high yield, soaring payout growth or both. High Yields and Payout Growth Too! 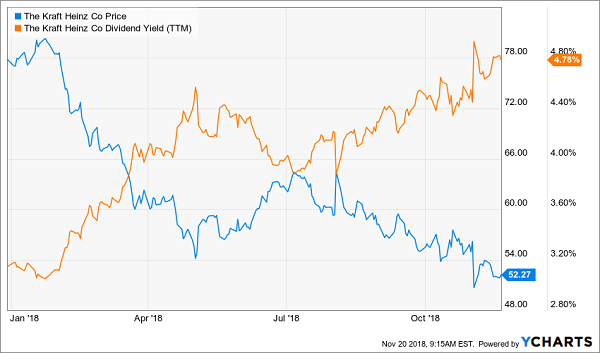 *Yield includes $0.85-a-share special dividend in December 2017. So you’re already getting a nice 4.2% average dividend here, which already tops the yield on the 10-year Treasury note. Plus you’re getting generous payout growth, too: an average of 40.6% over the last 5 years! But what about sales growth, the Achilles heel of the food stocks I mentioned earlier? Finally, valuation. NHI trades at 15.1 times trailing-twelve-month FFO; LSI, 17.7; and ARE at 18.8—all terrific bargains. 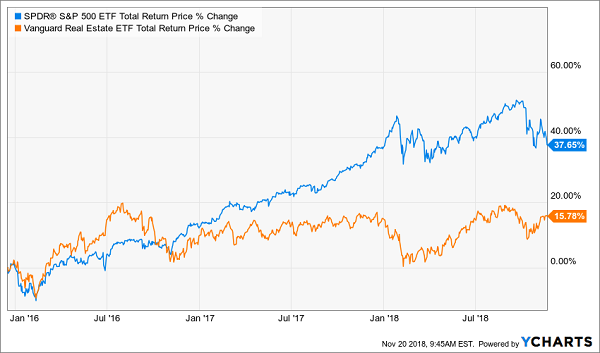 Even our two priciest REITs—Essex at 20.9-times FFO and Duke at 22.0-times—are ripe for buying when you consider the huge payout growth on offer here: Essex sports the lowest payout ratio of our “5-pack” and the best dividend-growth history. 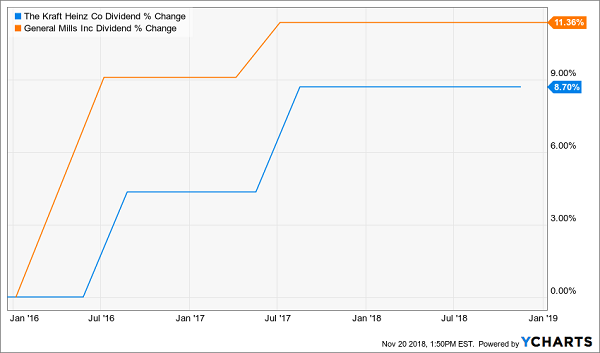 It doesn’t trail Essex in the dividend-growth race by much when you include the 2 special dividends it’s dropped on shareholders in the last 5 years. Add in surging FFO (up 17% in Q3), low debt (just 26% of market cap) and Duke’s ultra-safe payout ratio, and this dividend has lots of room to run. Grab a position now, before the price races further away. A dividend growing 40%+ every 5 years is great, but what if I told you I’d found a safe way to cut to the chase and bank a safe 8% payout right now? A life-changing 8% dividend yield—enough for you to let loose a $40,000-a-year income stream on a $500,000 nest egg. Dividends paid monthly, so you don’t have to struggle to manage a cash flow that comes in quarterly while your bills come in every month! Don’t be left out while other investors “lock in” their golden years with this powerful portfolio. Simply CLICK HERE and I’ll give you all 8 of these stocks’ names, tickers, buy-under prices and more right now!